With October looming and organizations devoting more and more resources to prepare for ICD-10, there’s an opportunity being missed. 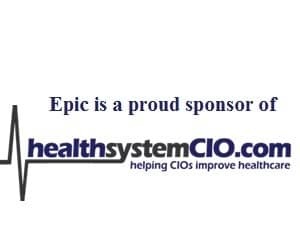 Spencer Hamons believes it’s time to share responsibilities with the end users; after all, they’re the ones who will soon realize that “their job is going to fundamentally change.” In this interview, he talks about the unique perspective he has as both CIO and COO — particularly when it comes to initiatives like ICD-10; the infrastructure challenges that come with being in a remote area; how he is able to leverage the COO title to his advantage; and why CIOs must be willing to be frontrunners when there are no leaders to follow. It was a little bit oversold in the very beginning that Meditech 6.0 was going to be the only way to get to a next generation system. I think Meditech has somewhat recanted that and realized that they have so many customers on some of their older platforms that they were going to have to continue supporting advanced clinical applications. We’ve been very successful at getting Meditech to integrate with athenahealth to get results out to all of our clinics and to be able to get not just the basics of lab and radiology results, but a lot of the more important clinical aspects. We suspect we’re going to have to be one of the frontrunners in designing those systems and how they work, rather than being able to emulate somebody else who’s already doing it. Everybody wants to try to sell you on a cloud-based system at this point, but when you lose your internet connectivity that often, you realize it’s not just the internet. Gamble: Hi Spencer, thank you so much for taking the time to speak with us today. Hamons: Thank you very much, Kate. I appreciate it. Gamble: Why don’t you get us started by giving us some background information about the organization — what you have in terms of hospital and clinics, things like that? Hamons: Taos Health System is a hospital here in the northern part of beautiful New Mexico up in the mountains. A lot of folks are probably familiar with Taos from the ski resort we have here and the ski resorts in Angel Fire and Red River, New Mexico, and just across the border from Southern Colorado. We have a full-service acute care hospital. We have a Women’s Health Institute Clinic. We have Taos Surgical Specialties. We have a Rural Health Clinic, and then we also have an arrangement with Colfax County where we have five or six primary care clinics in the rural part of Colfax County, New Mexico, as well as a long-term care facility. Gamble: In terms of the geographical area, is it fairly rural? Hamons: We’re very rural. We are about an hour and 15 to 20 minutes north of Santa Fe on a good day — if there’s no snow up in this area. We are in the north central portion of New Mexico, and we do service some of Southern Colorado as well. We do have about 800 square miles within our service area. Gamble: How would you characterize the patient population? Do you have a pretty decent amount of Medicare patients? Hamons: Yeah. If you look at our Medicare and Medicaid payer mix together, that equals a little bit over 50 percent of our total payer mix. We do have a large penetration of Medicare Advantage — the Medicare HMO programs — and for a lot of the federal programs that are out there such as critical access hospitals and those types of things, those types of payers aren’t considered traditional Medicare. That does limit us somewhat on what type of programs that we can participate in. Gamble: I’m sure that can be challenging from your standpoint. Hamons: Yes, it’s always challenging trying to manage the payer mix. Only about 35 percent of our patients have any type of commercial insurance. Gamble: Let’s talk a little bit about the clinical application environment. First, in the hospital setting, what kind of system do you have in place? Hamons: Here at the hospital, this location back in 1993 or 1994 selected Meditech as their primary hospital information system, and that system has been ongoing here. They actually did some pretty good clinical integration back in the early 2000s starting as far back as 1999 doing clinical documentation, moving forward with bedside med administration, and even having some aspects of physician order entry. They didn’t have a full physician order entry system that early, but we have been able to implement CPOE, physician documentation, and all of those things utilizing the Meditech Magic system that we have in place. There have been some discussions here in the past about going to Meditech 6.0. I think that it was a little bit oversold in the very beginning that Meditech 6.0 was going to be the only way to get to a next generation system. I think Meditech has somewhat recanted that and realized that they have so many customers on some of their older platforms that they were going to have to continue supporting advanced clinical applications. So right now, there is no discussion any further about going to Meditech 6.0 on this end. Gamble: That’s pretty unique to have had this in place since the nineties. I’m sure it’s a different picture now, but still that’s pretty impressive. Hamons: If you take the decades of what we’ve done in healthcare, we started seeing hospital information systems become more ingrained in what we do in the 80s, but we didn’t really start seeing much happening on the clinical side until the 90s. To see a small rural hospital that really started to embrace clinical applications in the 90s is pretty impressive, I think. Gamble: Definitely. As far as the clinics and some of the other ambulatory sites; what does the picture look like there? Hamons: The picture there is that we are using athenahealth. It has been somewhat of a challenge, I will say, because there were expectations for doing some fairly robust integration between Meditech Magic here at the hospital and those clinics. However, Athena has been a great partner to work with. We utilize Iatric for doing a lot of our integration. We’ve been very successful at getting Meditech to integrate with athenahealth to get results out to all of our clinics and to be able to get not just the basics of lab and radiology results, but a lot of the more important clinical aspects — discharge notes, H&Ps, those types of things — to flow between Meditech and those clinics, and that has helped us in our area. We have a PHO here in this community as well, which is a physician hospital organization. For the most part, the large majority of our community physicians have selected athena as well. We’ve been able to utilize what we’ve done with our integration between the hospital and our own clinics and all that knowledge, to integrate with our private physicians in the community as well. Gamble: That’s something that you certainly like to see, in terms of having to deal with as few different products as possible when you’re talking about integration. Gamble: In terms of the PHO, how does that work — is it something where you’re in communication with them pretty often? What is that relationship? Hamons: The relationship is fairly unique. It’s the first time I’ve been involved with a PHO that’s this active. A lot of places have PHOs that are really PHOs in name and really don’t do a lot. Our PHO is very active. We meet monthly. We have one vote on the board with the PHO, and I am actually not that person; we have a different representative, although I attend all of the meetings. Each physician practice involved has one vote as well, and we have a lot of discussion really about what are we doing in our community. The nice thing is that this PHO has been going on long enough that as we look more into community-based healthcare and population health, the PHO is really going to be our vector into doing that. Gamble: From what you’re saying, it does sound like it’s certainly more involved than some of the other ones we hear about. With that and the fact that you have some of the non-owned physician practices also using athenahealth, it seems like that puts you in a decent spot as we look toward things like Accountable Care and trying to reduce readmissions and really keep that communication going between the hospital and the physician offices. Gamble: Are there any accountable care organizations at this point you’re participating in or do you have any plans to do so? Hamons: We don’t. We’ve been looking at some of these, but because of our rural environment and the fact our catchment area really only has somewhere between 50,000 and 75,000 lives depending on how you define it, we really aren’t quite at a point where we have the critical mass we would need to move to an ACO model. Gamble: Do you think you would look toward doing something that’s almost like a different version of it but that would really serve your purposes better, like forming you’re a hybrid ACO? Hamons: Yeah, more of a hybrid type model. The nice thing about it, especially with our relationship with our PHO, is we’re not looking at this as a way just to consider how we’re going to change reimbursement models. The PHO has made it very clear that for the members of the PHO to be involved, it really has to be involved with how we’re going to affect the health of our community. And honestly, I think a lot of has to come back to what are the social values of the Taos, Northern New Mexico area. Gamble: It’s interesting; you really have to dig down pretty deep. I can imagine there are unique challenges having the type of patient population you have and being so geographically dispersed. Hamons: Yeah. The challenges that we face are not totally unique to us, but I think it is different enough from the norm that it does pose the challenge that there aren’t a lot of us to go out there and say, ‘Who is doing it well and how can we emulate that?’ The reality is we suspect we’re going to have to be one of the frontrunners in designing those systems and how they work, rather than being able to emulate somebody else who’s already doing it. Gamble: Are you doing any telemedicine work at this point? Hamons: We are not doing any telemedicine here. It’s been something that’s on my radar. Whenever I came here back in April of 2012, I came from Bethel, Alaska with the Yukon-Kuskokwim Health Corporation. While I was there, we implemented a very robust telemedicine system out in the bush of Alaska, and so I do have a lot of experience with how to utilize telemedicine. But in this area right now, it’s not something that we have really pushed. It’s not been embraced, and the infrastructure is minimal. But those were the same challenges that we were facing in Alaska. It’s just a matter of getting the right people to buy into the concept and then push it as a major priority for us. Gamble: I can imagine you’re facing a lot of challenges there just as far as even dealing with facilities and homes that don’t even have internet connections or high availability. Hamons: Yeah, there is no high availability up here. As a matter of fact, in the two years I’ve been here, we have lost internet services four times for greater than a 24-hour period. And so going to cloud-based systems and things like that, you definitely have some challenges and some risk considerations whenever you don’t know when you’re going to be able to even have internet services. Typically we tend to bring things in-house and run them in-house with that safety net in mind. Gamble: That’s significant downtime. I can imagine that that’s a tough situation. Hamons: It’s extremely tough, especially when you’re talking to larger vendors out there, it’s something they don’t really consider. Everybody wants to try to sell you on a cloud-based system at this point, but when you lose your internet connectivity that often, you realize it’s not just the internet. We lose cell phone service. We lose long distance service. Basically we become an island upon ourselves. And it’s not that we haven’t attempted to resolve this. We have connections through multiple different vendors and those types of things, but there’s only one primary link to the internet from our area. So regardless of what vendor you use, if everybody’s riding on the same fiber to get in and out of the mountains, you’re at their mercy.